Great experience. Very professional group. Made buying very simple, with no pressure. I had my specifications for a new SUV and Audi Chattanooga was able to give me the SUV I was looking for in the Q5. Found a good used truck that fit all my needs. They replaced the windshield and had me shined up in no time. Great easy experience. Scott, Victor, great guys, would recommend them to anyone. Great experience! No pressure sales which we enjoyed; they were there when we needed them but no hassling and no pressure. Will definitely shop there again next time we need a vehicle. Good service friendly sales person good selection of autos. Good location.glad I bought from village vw.would buy from them again in the future. 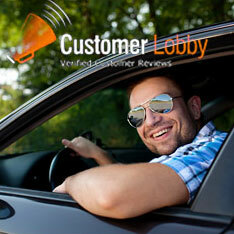 Was in a hurry, and was able to get in and out quickly without any issues with the added benefit of friendly service. Crocket was great. Up beat and positive about what he was talking about and gave plenty of information. Was knowledgeable about the product he was selling and made us feel comfortable with the purchase. He was so nice and helpful. He answered all of the questions we had, sometimes MULTIPLE times. So kind, I can honestly say that he was the most memorable part of buying my first car, YAY! I cannot thank him enough for being so helpful and patient.